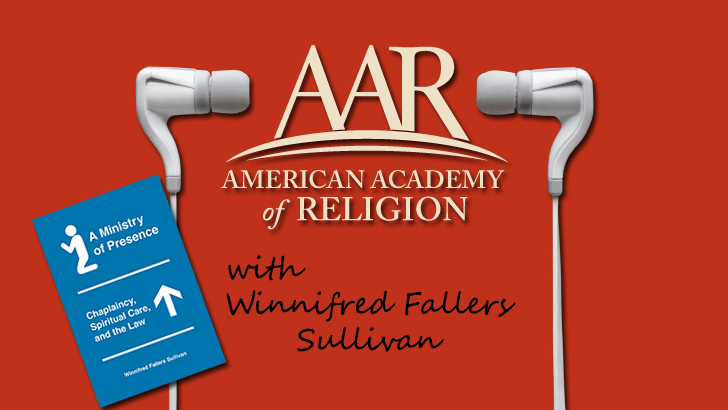 In this conversation with Kristian Petersen, Winnifred Fallers Sullivan discusses how the role of chaplains in the United States developed alongside understandings of the First Amendment. Chaplaincy, she argues, provides a legal solution to the fragile problem posed by the free exercise and establishment clauses in the Constitution. Sullivan is the author of A Ministry of Presence: Chaplaincy, Spiritual Care, and the Law (University of Chicago Press, 2014) which won the American Academy of Religion's Award for Excellence in the Study of Religion in the analytical-descriptive studies category.